I got an email yesterday informing me that the author copies of "Handwritten Recipes: A Bookseller's Collection of Curious and Wonderful Recipes Forgotten Between the Pages" were on the way. I think it perfectly captures the book's spirit. I hope you enjoy it, it comes out on October 2nd. This is "Lowney's Cook Book" prepared by Maria Willett Howard and published by the Lowney Company in 1912. 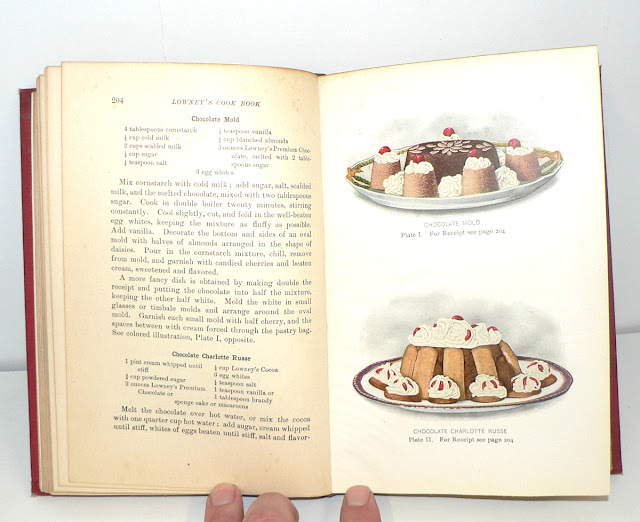 It's filled with some great vintage recipes as well as some terrific color illustrations (hm, sounds like some other book we were just talking about). To enter the giveaway, just leave a comment below. You can also enter over on Facebook, on twitter or via email. If you have any questions about Handwritten Recipes, go ahead and ask! I'll gather up the entries and announce the winner in tomorrow's Forgotten Bookmarks post. So excited for your new cookbook. Have enjoyed trying out some of the older handwritten recipes, so can't wait to see a compilation. Congrats. Old cookbooks are my favorite! What a fun find. And love the new book too. I Collect Cookbooks! So does my Mom! She (and I) would Love to have that lol! Was this the Lowney of Lowney's chocolate? Are there a lot of chocolate/candy recipes? Awesome! Look forward to seeing the new book! I'd love to have that...count me in! Congrats! Your new book looks wonderful! Can't wait to read it. Can you post the TOC? Congratulations on your new book! I am looking forward to reading it. In the meantime, I love old cookbooks. They are so much fun. I hope I win this one! Oh, I would love to have that one for my collection! What a great idea for a cookbook! Congratulations! I'd love this one. Thanks & congrats! I love looking at old cookbooks and envisioning all the meals that were made. I have several of my grandmother's cookbooks and cherish them. Would love to win this one. Good luck on your new book! So cool! I'm so excited for you! It looks wonderful. Thanks for the giveaway! I too love old cookbooks, I think cooking is just as much a part of our history as anything else. Great book for sure! Generally I don't sign up for give-aways but I LOVE cookbooks!! Count me in. Love the fabulous cover art for your new book. It's so perfectly vintage that at first glance, I thought it was the *old* book you were featuring today. The one actually on offer looks pretty yummy too! Can't wait for the new cook book and would love to win the old cook book! As a collector, I'd like to add it to my shelves. Thanks for the give away! This looks great! I love old cookbooks! Sign me up, please! 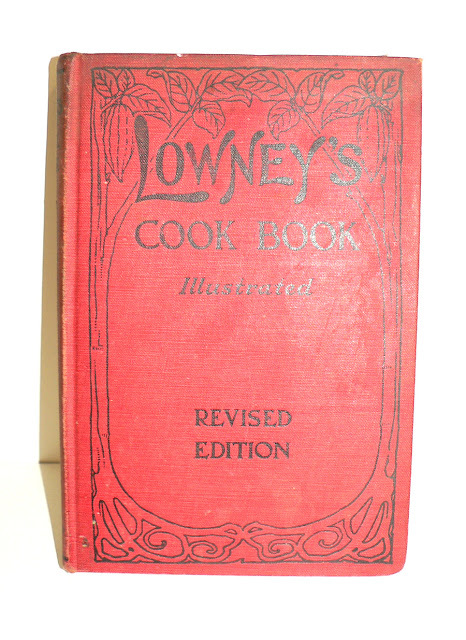 I love cookbooks, old and new. Congrats on book #2! I lost my vintage cookbooks (weep) in a flood. Most aggravating was the loss of the recipes from my grandma. (double weep).